WALK TO THE LSU LAKES! SOUTHDOWNS! ALWAYS A HOT, SOUGHT AFTER NEIGHBORHOOD! MAJOR SHOPPING, THE BEST IN RESTAURANTS, LSU, AND EASY ACCESS TO THE INTERSTATE AND DOWNTOWN! Youâll love the circular drive for extra parking. 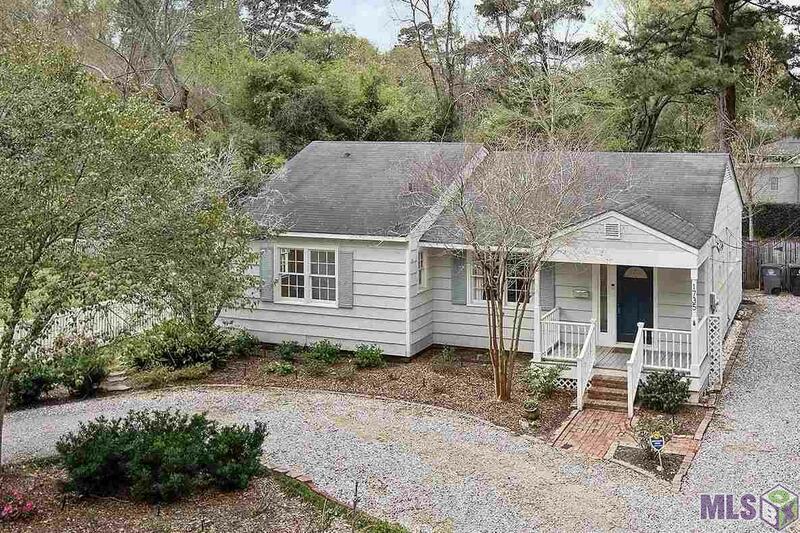 This adorable Cottage has been well maintained and offers the character one would expect from the older neighborhood homes. The Large Living Room will be perfect for entertaining! The Dining Room can be formal or casual. The Family Room has a wall of built-ins for all your keepsakes. The Kitchen has the trendy black and white tile floor, gas stove and microwave. and the refrigerator, washer/dryer remains for your convenience. Youâll find beautiful wood floors through out the home. The huge Master Bedroom can easily accommodate a nice Sitting/TV area and the two large Walk-in Closets are Awesome!! The other bedrooms are spacious with good size closets. The Sun room might be your favorite because it overlooks the deck and beautifully landscaped yard. Enjoy the cookouts and summer family get together times this area offers. Detached storage shed remains for all your âstuff.â The whole exterior of the house was professionally painted October of 2017. This property is an Entertainers Delight! Exterior: Deck, Landscaped, Outside Light, Patio: Open, Porch, Storage Shed/Bldg.